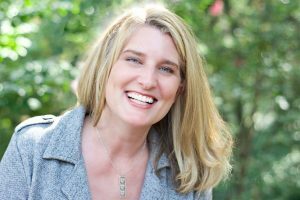 In 2014, Holly Homer was launching a new book on Amazon and learned that a big, fast growing Facebook page could be the secret to catalyzing her book’s success. But against all the guru’s advice, Holly and her partner grew that page to over 50,000 fans over the next 3 months and hit the 1,000,000 mark in less than a year. Using nothing but sweat equity and a brilliant strategy. Today the Quirky Momma Facebook page boasts 3.3MM followers and commands a presence most marketers only dream of. But as with every entrepreneurial story, it’s not all sunshine and rainbows. As of this recording, we’re just coming out of arguably, the biggest Facebook slap ever. And it’s one that completely vaporized a massive percentage of Holly’s business’ revenue. Today Holly shares openly about the struggles of entrepreneurship, the landmines of being an online public figure, her parenting expertise and her strategies to not only survive this Facebook slap, but protect herself from anything else in business that’s not within her control. This is an incredibly valuable conversation and one that I’ve already re-listened to and shared with my family. So with that, please help me welcome, Holly Homer.